Amy, from This Heart of Mine, decorated these gorgeous cupcakes with perfect little paper flower cupcake toppers. These fun tissue paper flowers would look great decorating a cake too, if you are frosting flower impaired like I am. 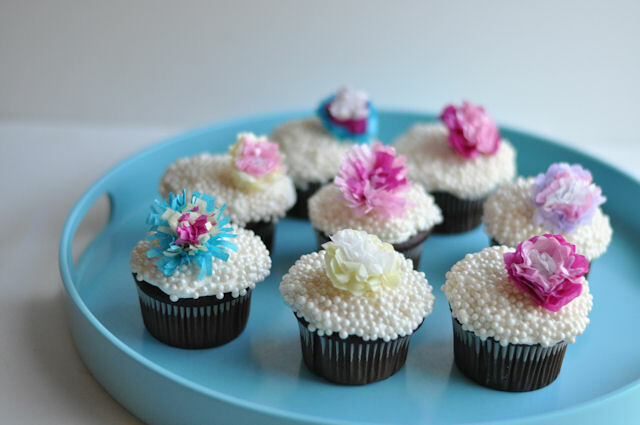 You can check out how to make Amy's paper flower cupcake toppers over at You Are My Fave. Those are very pretty and fancy.